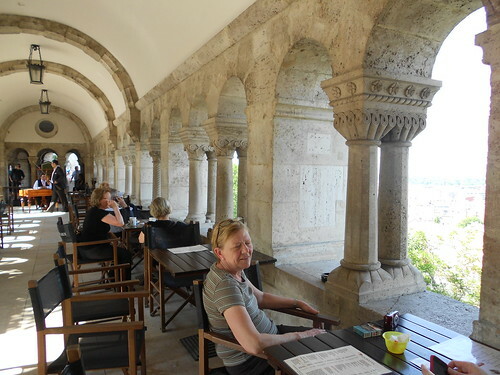 We crossed the Danube on the Chain Bridge to the Buda side of the city. 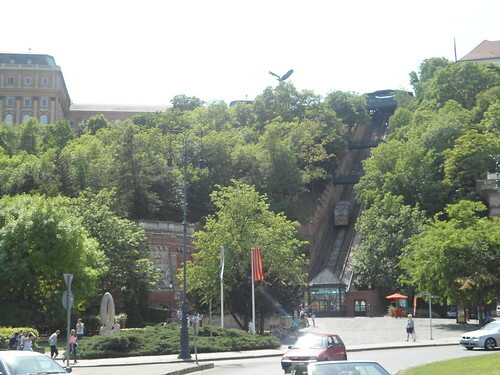 We then rode the funicular (pictured below) to the hilltop. Our reward was this amazing place to have a beer. I enjoyed a delicious Staropramen Dark on tap. 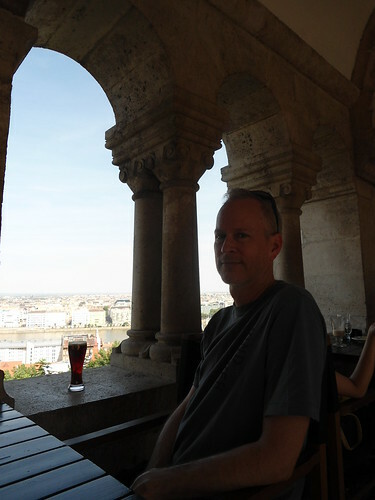 I had no idea that Czech lagers could be dark. Or tasty. 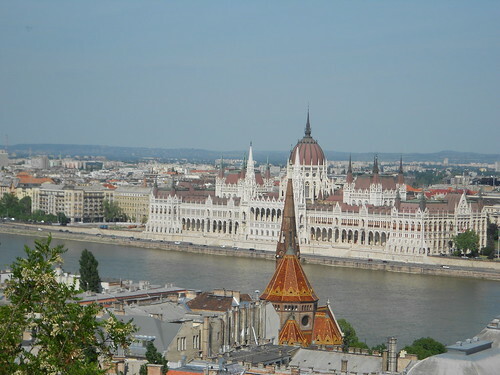 Our view of the Hungarian Parliament was outstanding.